Remember the apples I bought and talked about forever in this post? Well I still have some of them hanging around and their time of crisp beauty is coming to an end. The warm temperatures around here are also departing leaving me with some apples on the verge of going bad and some thick socks that can't combat the cold enough to help me regain feeling in my feet again. Enough about all of that though. You're not here to listen to me complain about the fact that I'll be hibernating until April. Nope! 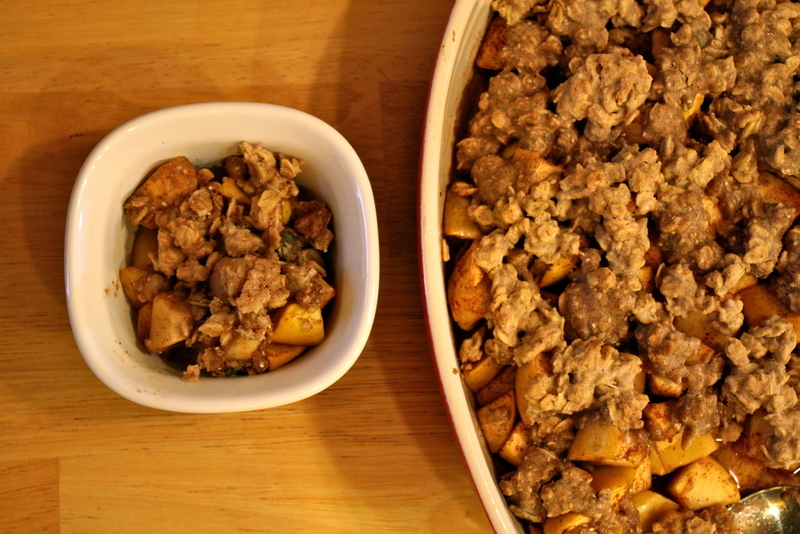 You're here for some cinnamon apple crisp and that is very exciting on it's own! 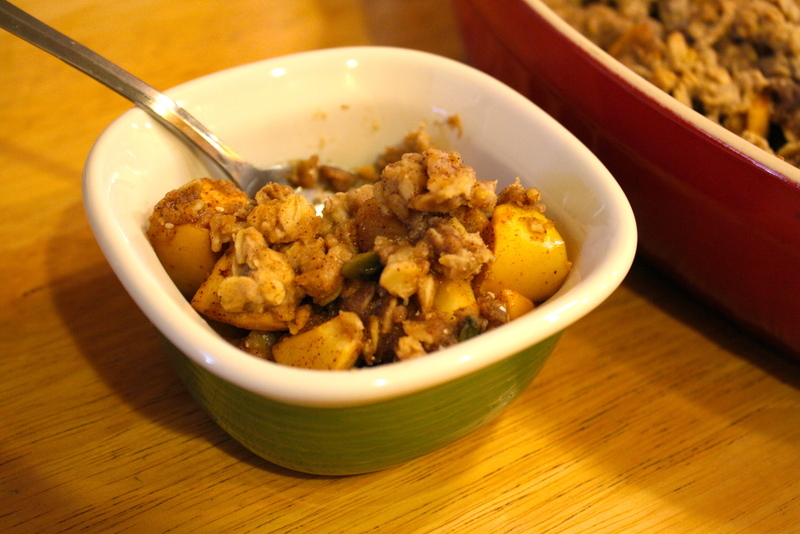 I love making apple crisp because it's so easy to make. You don't need a lot of time, ingredients, baking talent, or effort to make it delicious. My kind of dessert. Let's get to baking so that we can curl up with a fuzzy blanket, a good book, and a warm bowl of fresh baked apple crisp!